A pulmonary and sleep medicine specialist, Dr. Jonathan Ahdoot's extensive medical background and experience make him a well respected member of the medical community. With board certifications in Internal Medicine, Pulmonary Disease, Critical Care Medicine and Sleep Medicine, he can take a more generalized point of view when diagnosing patients for treatment. Graduating in the top 3% of his class, Dr. Jonathan Ahdoot received his M.D. from Tehran University, School of Medicine, and went on to complete his residency at Hahnemann Affiliated University Hospital in Pennsylvania. At the University of California, Irvine, Dr. Ahdoot honed his skills in pulmonary and critical care medicine, which led to his appointment at the university as Clinical Professor, where incoming pulmonology fellows could benefit from his vast knowledge. 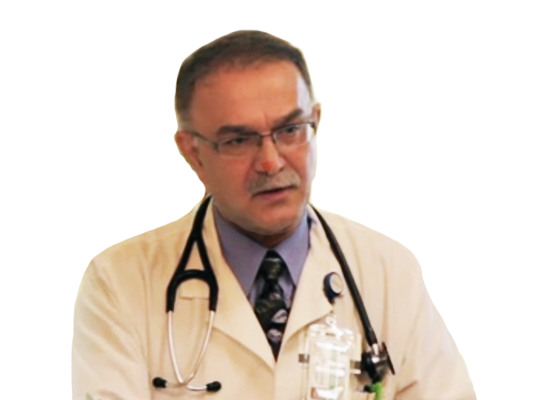 In addition, his research has spanned publications over the past two decades and he currently hosts a medical roundtable on Persian Television to promote preventative medicine to viewers. Dr. Ahdoot specializes in the diagnosis and treatment of lung diseases such as asthma, pneumonia, emphysema, and bronchitis, as well as the diagnosis and treatment of sleep disorders such as hypersomnia, narcolepsy, and sleepwalking. At the Pulmonary and Sleep Center of Irvine, he offers in-house sleep and breathing to finetune his diagnoses. According to Dr. Ahdoot, education and prevention are key when caring for a patient. An ounce of prevention is worth a pound of cure. Are you a patient of Dr. Jonathan Ahdoot? Login to your Who Is Who account and share your experience with Dr. Jonathan Ahdoot. It takes seconds to register. Start your FREE account today and share your expereince with Dr. Jonathan Ahdoot.